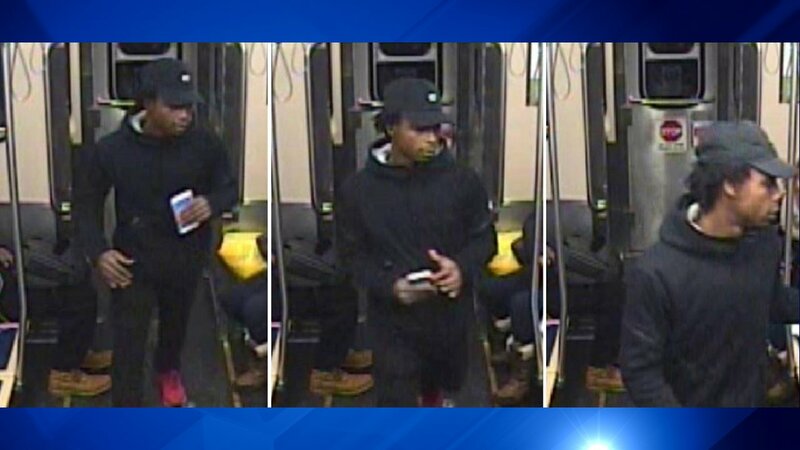 CHICAGO (WLS) -- Chicago police have released surveillance images of a suspect in a robbery aboard a Green Line train earlier this month. Police said the male suspect approached a 34-year-old woman seated on a train at about 6 p.m. on Nov. 13 in the 4000-block of South Indiana Avenue. The suspect stole the woman's phone from her hand and fled the train. The suspect is described as black, approximately 18 years old, 5'07"-5'10" and 150-170 pounds.